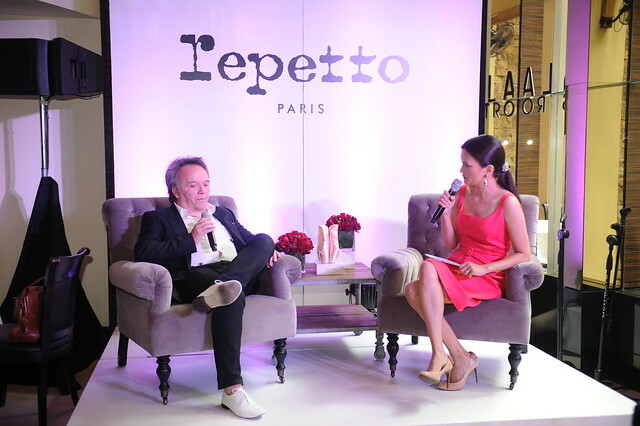 Here are some highlights from the launch of Repetto last week. 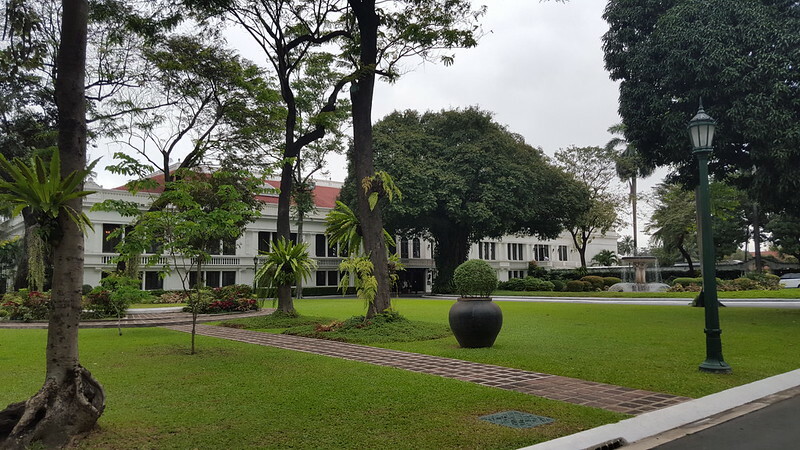 Suyen Corporation invited me to host the event. It was a lovely intimate lunch for media. 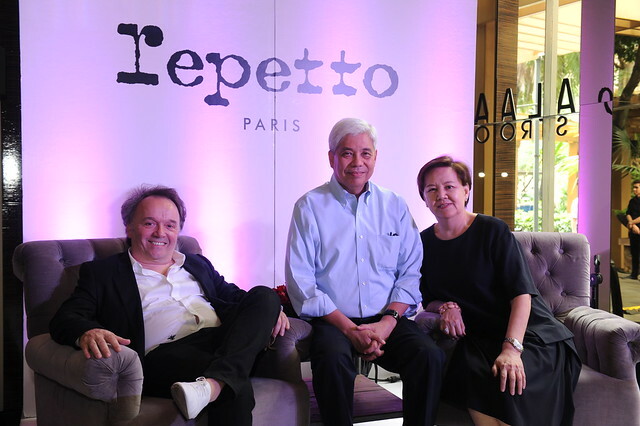 Repetto has been open in Makati for over a year but had their ceremonial opening last week. With the owner of Repetto Jean Marc Gaucher. In 1999, Jean Marc Gaucher became the owner of Repetto and he had with him clear visions about the brand: to make Repetto a worldwide brand, develop exclusive products that represent the world of dance; and to be positioned in a luxury environment. Jean Marc Gaucher revamped Repetto in a very unique way – the brand collaborated with the likes of Issey Miyake, Yohji Yamamoto and Comme des Garcons. These one-of-a-kind efforts continued as Repetto further included new product categories such as the dance bags to complement a dancer’s entire ensemble, flat and heeled street shoes and leather handbags for the city lady, and its newest RTW line to complete the overall look of a young woman inspired by the grace and lightness of a dancer. 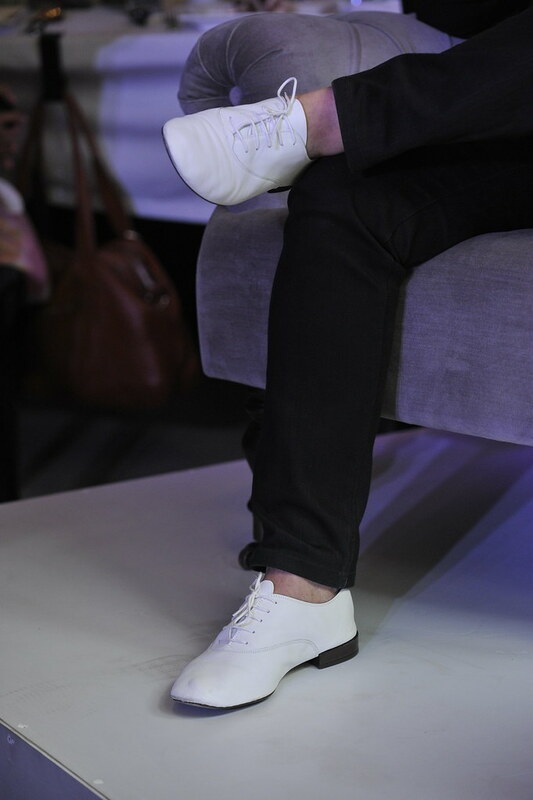 Mr Gaucher wears the iconic white Zizi Oxford which was originally created for Zizi Jeanmaire, daughter-in-law of Rose Repetto. 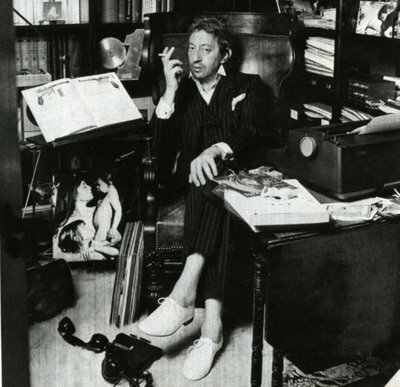 It was the favourite shoe of Serge Gainsbourg who became the brand’s ambassador in the 1970’s. Nothing can be cooler than these Zizis on Serge Gainsbourg. Me and Monsieur Gaucher at the lovely Repetto store in Greenbelt 3. Suyen Corp’s GM Bryan Lim and Rogue’s Philip Cruz. To mark the 60th anniversary of the Maison Repetto, more than 60 renowned artists rallied around the project of the Foundation Danse pour la Vie (or ‘Dance for Life’). Each artist was given freedom to embellish Repetto’s timeless products from ballerinas and tutus. A unique collection has been created and has been exposed in the Repetto store, 22 rue de la Paix in Paris, before starting a world tour starting point for New York and Montreal, Seoul, London, Milan, Tokyo, Hong Kong, Sydney, Singapore … and now Manila. Checking out the display of ballerina flats, decorated by a few of the artists. 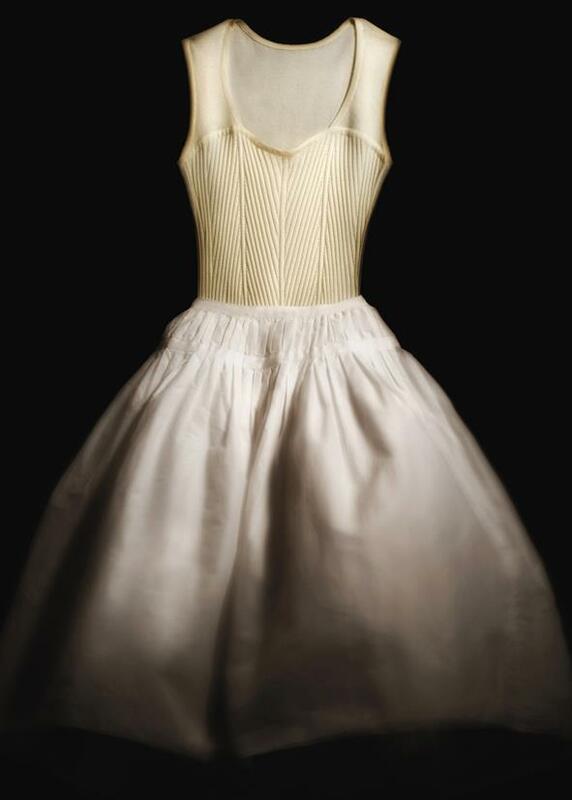 Repetto tutu by Rei Kawakubo. Also on display at Greenbelt 3 were these Repetto creations by renowned designers and celebrities — 01 Brigitte Bardot, 02 Chantal Thomass, 03 Tobias Wong, 04 Proenza Schouler. We were treated to a beautiful dance by Ballet Philippines’ Carissa Adea. I will always be inspired by the ballerina’s form. Mrs Nenita Lim of Suyen Corp. and Ballet Philippines’ principal dancer Carissa Adea. CEO and owner of Repetto Mr Jean Marc Gaucher with Suyen Corp. President Virgilio Lim, VP for finance Nenita Lim. Repetto boutique in the Philippines is at Greenbelt 3, Makati City. Two new Repetto boutiques will open before the end of 2013 — Shangri-la Plaza, Mandaluyong City and Power Plant Mall, Makati City. I miss window shopping, Toronto-style. While I was home at my parents’ over the spring, my sisters and I did what we loved doing… going for walks along the shops in Oakville. I hardly bought anything. 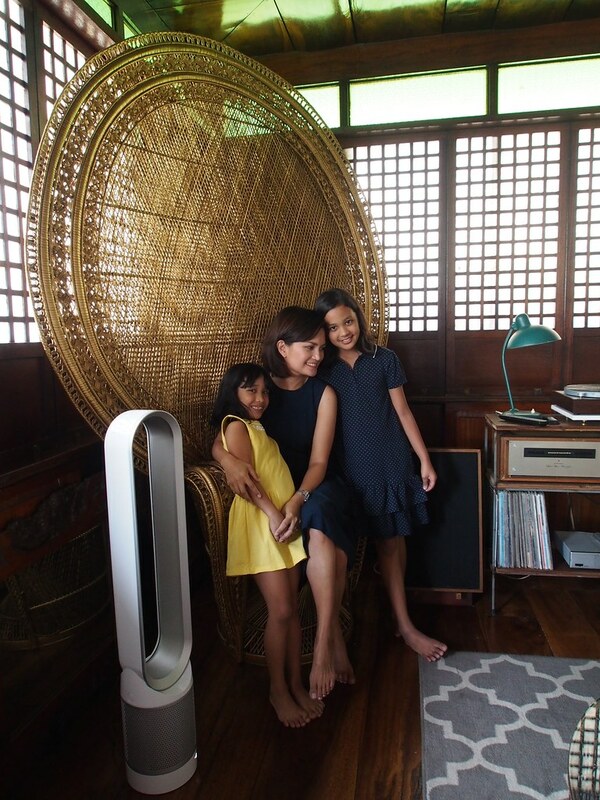 But I got a lot of ideas for objects that were mostly made in the Philippines. I loved perusing through Anthropologie’s home section. And all those little indie boutiques. 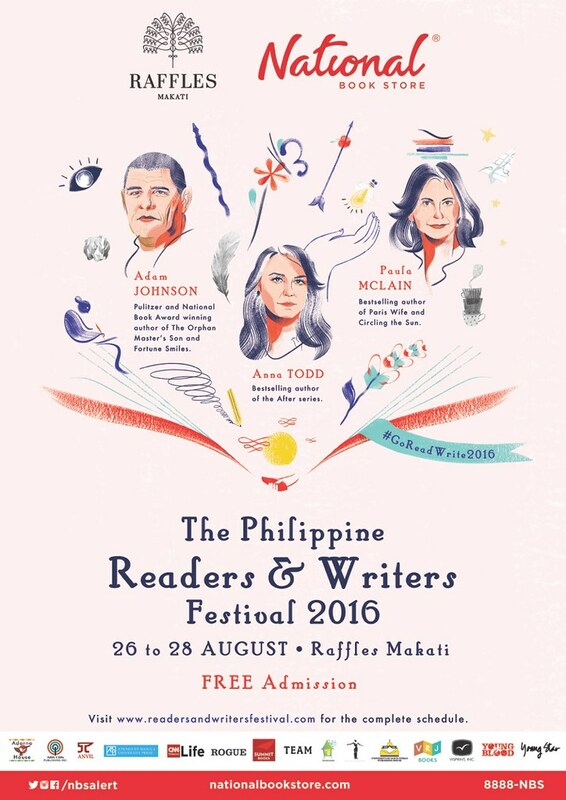 Here in Manila I am itching to comb through my favourite thrift shops again. Our living room is in need of an update. While I don’t have time to do that, I sifted through my partner sites and found these lovelies I want for my home and my closet. Hope you find inspiration in them. 01 A decorative tray can go a long way. 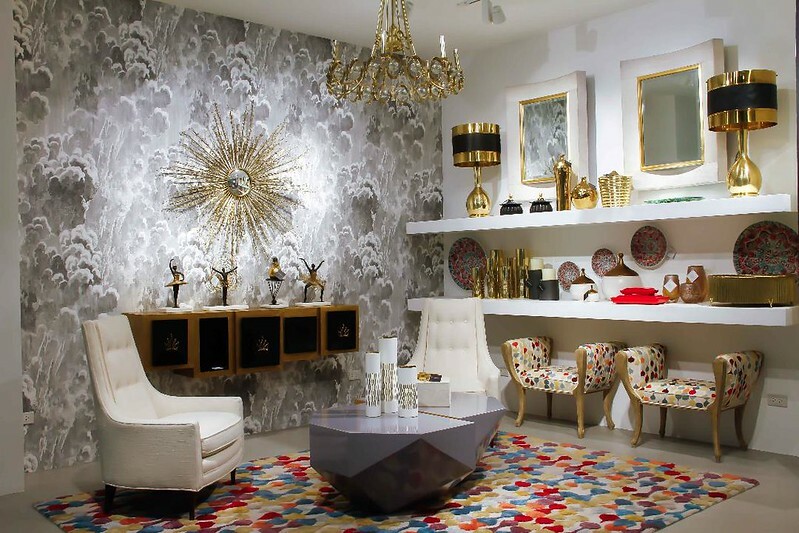 You can leave it out as a catch-all on your coffee table or bar cart. Or use it for serving coffee or tea. This Dwell Studio Peacock Lacquered Wood Tray is perfect for all that. 02 Since I worked on my new kitchen, I’ve been very particular about lighting fixtures – especially pendant lamps. They can make or break a look. I’m loving this one from Dwell Studio, the Ulysses Pendant . Those brass paillettes give the perfect glow. 03 Serena & Lily Fresco Beverage Bowl for entertaining. Fill it with ice and you have a perfect wine cooler. Or use as a fruit bowl. I would actually just put it on my desk and dump all my nicknacks in it. 04 Anthropologie Beaded Bali Pouch . The perfect accessory when traveling. No need for other embellishments if you have something like this. 05 I know a lot of you use the word “simple” when describing me (based on the emails and comments). I wish I had a simple life. Believe me, those who know me know how complicated I can be when it comes to my choices. Haha. I guess the final product just comes out appearing well-edited. I love this headband. But if worn with other accessories, your look can go totally wrong. If you have this, wear only this and nothing else. And go for a monochromatic outfit. Evita Peroni Lacey Hairband, Greenbelt 5 and Rockwell Power Plant Mall. 06 These shoes from Anthropologie look like they’ll break your back and ankle. But wedges have this funny way of being so comfortable. I don’t think I’ll stop loving wedges. Tasseled Peep Toe Wedges . 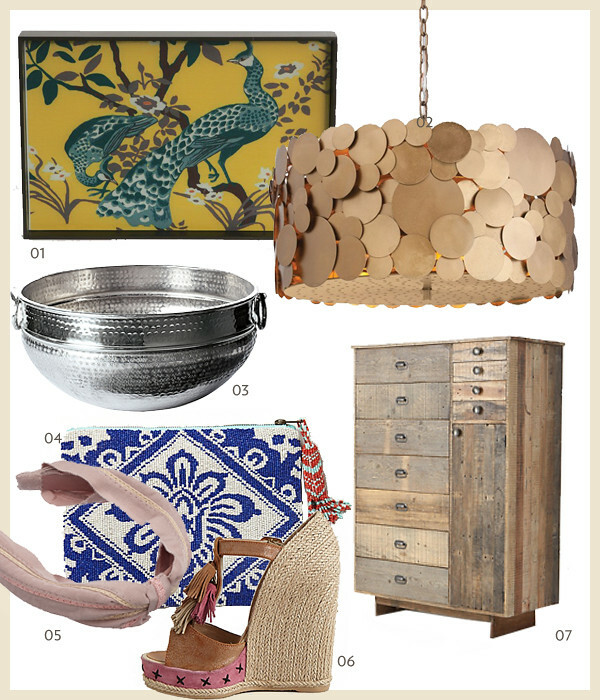 07 This Anthropologie Eiko Cabinet will look good in any type of decor – whether formal, classic, laid back or themed. I love reused wood. 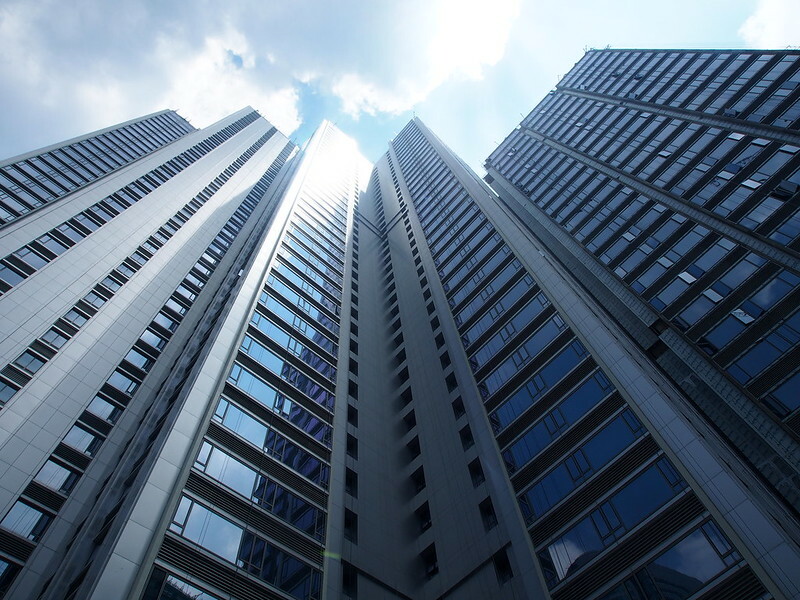 My friend Charisse asked me if I could share this story with my readers. Her mother in law lost her son when he was 15 years old. It is unthinkable to many of us. But to some, this has been a nightmare that they’ve had to deal with. Nardy and Anna Tinio are sharing their experiences of how they’ve coped with the loss of their precious son. 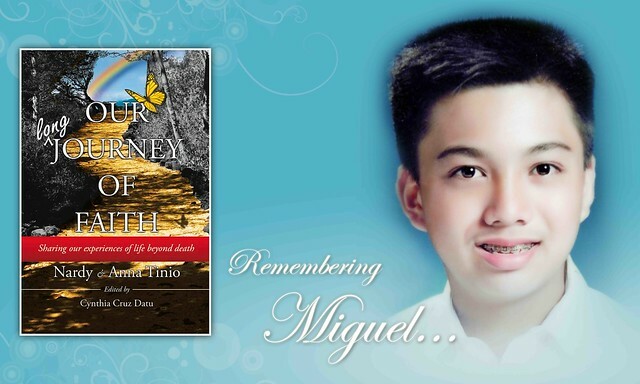 It is an inspirational book of life experiences beyond death of a child. How we as parents coped, together with our remaining children, with the demise of our son Miguel. It was a journey of discovering our strengths and weaknesses. And only to realize that our FAITH IN GOD mattered most, and in FAITH IN GOD, we survived the sufferings and pains during the trial to find joy in that suffering and a renewed life for us. Our Journey of Faith is available at Fully Booked. 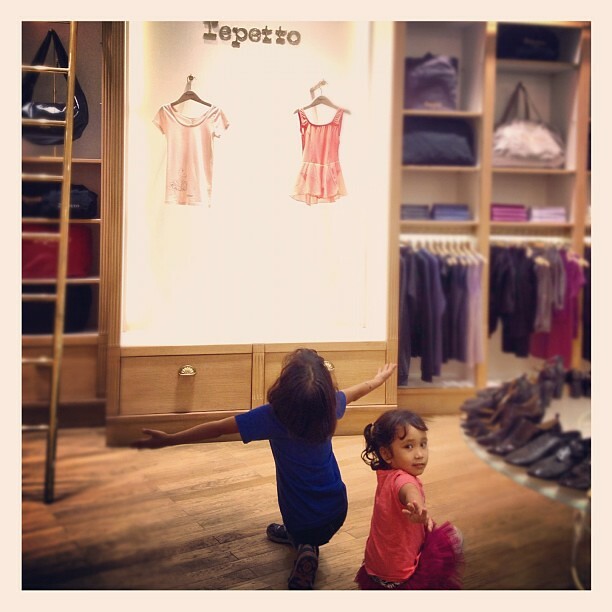 One morning after school last year, my girls and I walked in to the Repetto shop in Greenbelt 3. Tchaikovsky’s Dance of the Sugar Plum Fairy was on. 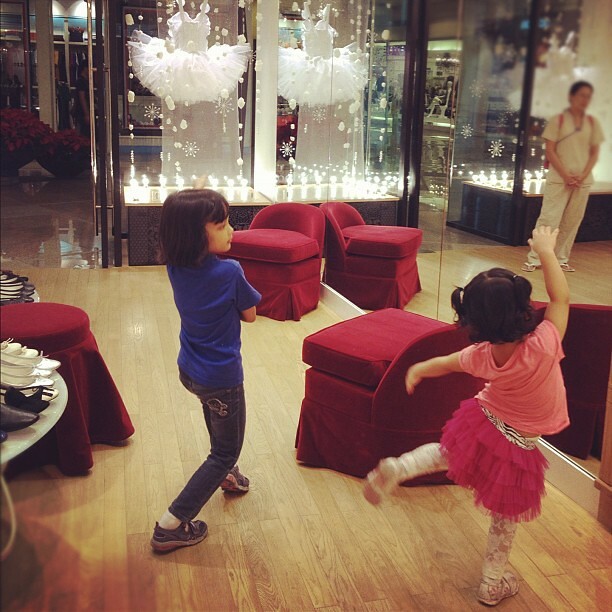 Lily and Stella twirled around the shoe tables and did their dance. Then they did their curtain call. It has always been this way every time we enter Repetto. Even I get visions of my girlhood dream. It was shattered after years of being “not good enough” at ballet lessons my parents religiously took me to. At one recital all the good dancers were wearing tutus and toe shoes while I was still in black leotards and soft shoes. My closest friend was Clara in the Nutcracker while I was a little bug in the forest scene. My black leotards had tiny beads and sequins but I also had to wear bug antennae. 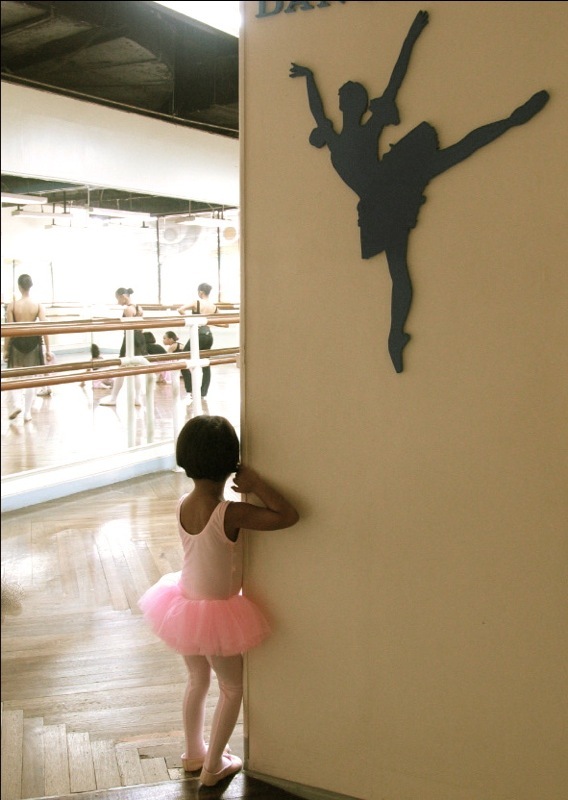 When I had my first daughter I knew that ballet lessons had to be part of her childhood. It became a mother-daughter thing. I hope this magical world of dance can be enjoyed and shared among my three daughters. It takes a lot of commitment. Already, Lily has missed out on ballet lessons because her academic load has gotten too heavy. Instead of ballet on Saturday mornings we took Math courses last year. Must find time to do this. Poor Stella hasn’t had any ballet lessons at all. Sigh. For now, we have that pretty little Repetto store in Greenbelt 3 where every visit is an experience. I hosted the official launch the other day (the store has been opened for over a year) upon the invitation of Suyen Corporation. 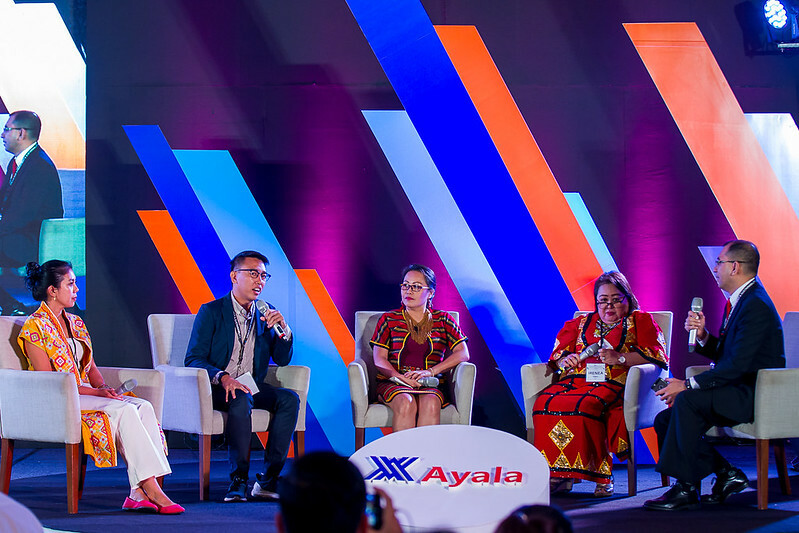 The owner and CEO Mr Jean Marc Gaucher flew in to Manila for the event. Mr Gaucher acquired Repetto in 1999. It is a 60 year old ballet shoe store created by Rose Repetto near the Paris National Opera. Rose Repetto was the mother of Roland Petit, one of France’s important choreographers and dancers. In 1956 actress Brigitte Bardot’s requested a ballerina shoe that could be worn on the streets. Rose Repetto created the ‘Cendrillon’ ballerina and dedicated it to her. For Bardot, this ballerina shoe will always be a part of her success in Vadim’s film ‘And God Created Woman’. 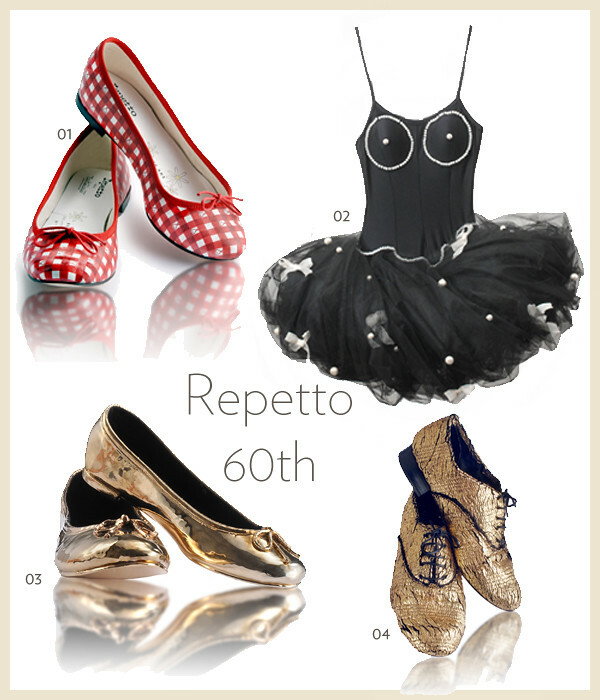 Repetto still carries the same Cendrillon shoe. At Repetto Greenbelt with owner and CEO Jean Marc Gaucher. As a long time fan of the brand, it was a huge honour for me. 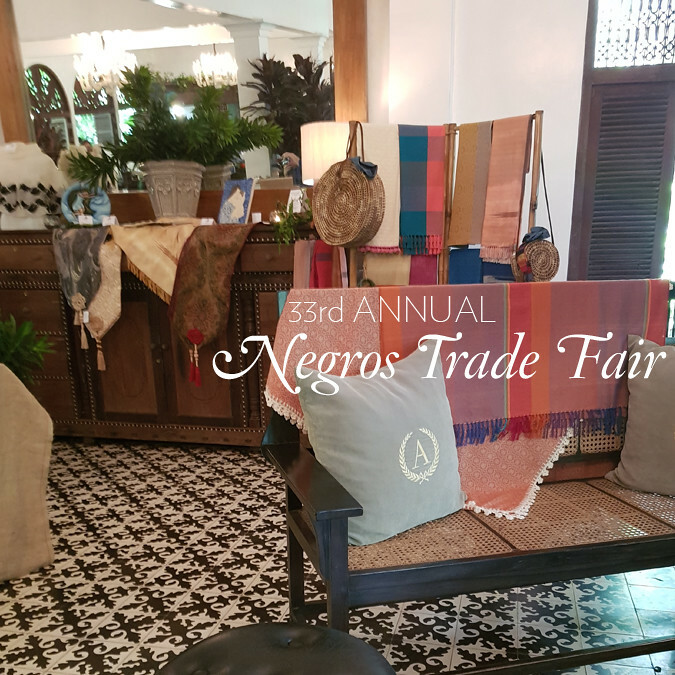 Aside from the ballet flats that the brand is known for, Repetto introduced leather bags, dance wear and the first ready to wear collection which are all available in Manila. Dreamy. Everything was gorgeous. I have a few of the dance clothes like dance pants and hoodies plus a few shoes from many years ago. But these clothes are new in its first season and we have them all here in Manila. 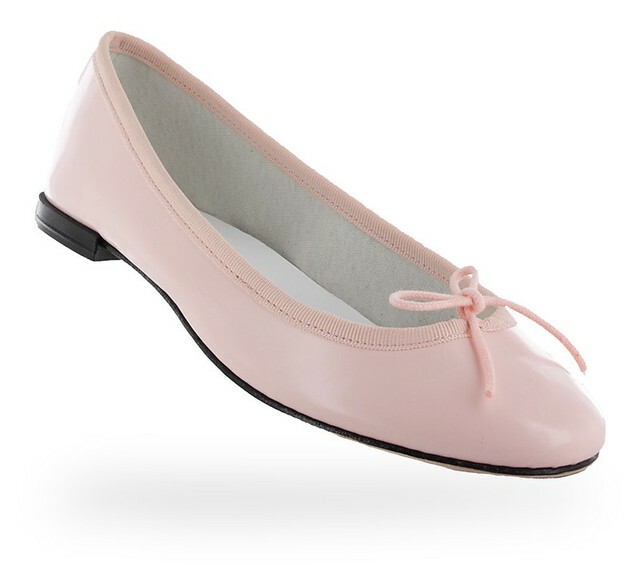 This season Repetto launched its first wardrobe collection all inspired by ballet. Lovely is an understatement. The Tote Arabesque bag. 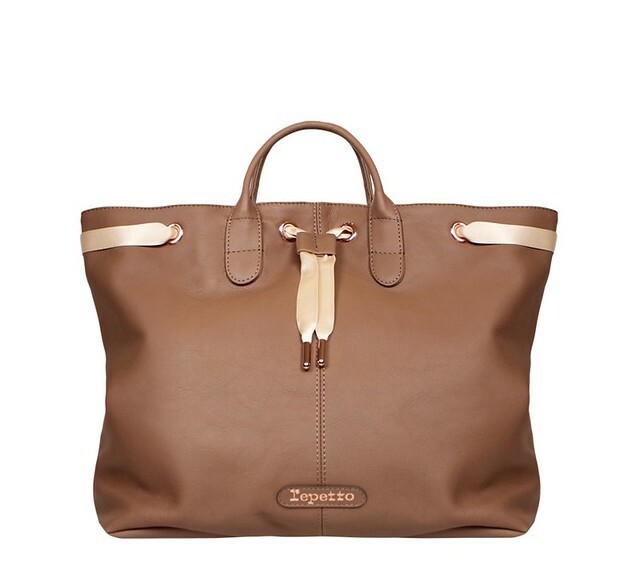 All the leather goods are also inspired by ballet. Most of the bags are soft and slouchy. Ballet dancers like bags with a big opening in order to hold their layers of clothing. They like it slouchy because they use the bags as pillows when they lie on the floor. The Loafer Michael is inspired by a jazz shoe and made famous by Michael Jackson and a few years ago by Kate Moss. This whole look from head to toe says comfort and sophistication. Love this. 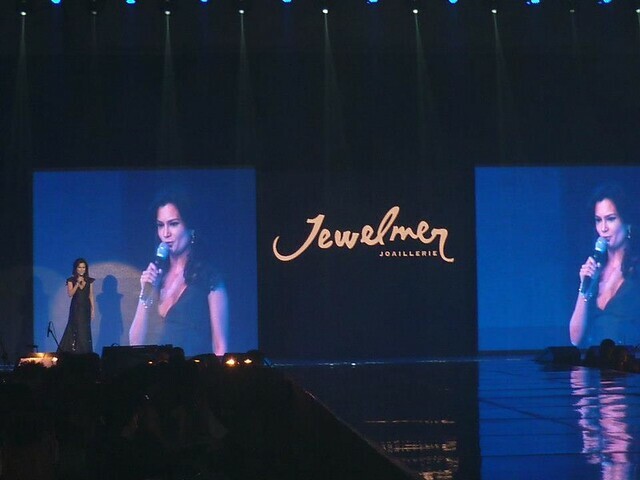 The 2012 Jewelmer Gala which I hosted. Photo by Exie Razon. 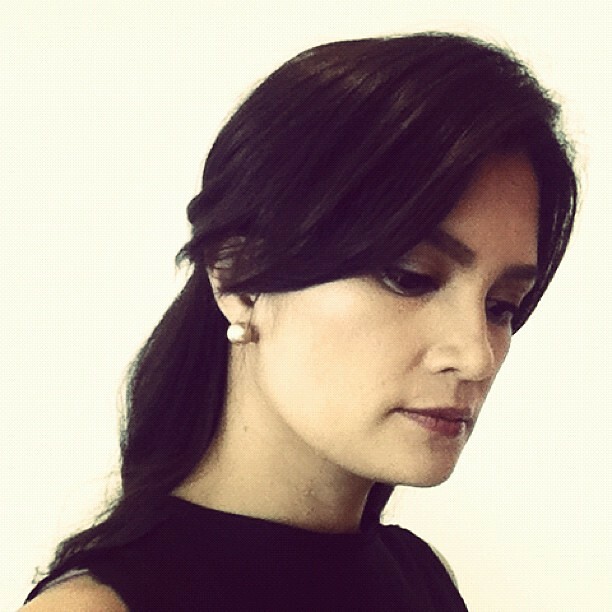 By now you know how much I love south sea pearls from Jewelmer. It was the first thing I bought with my first pay cheque from F. Then Jewelmer sponsored the F girls for the duration of the entire show, like six years. I am very fortunate to have a few pieces from Jewelmer. I recently fell in love again with my classic strand of white south sea pearls. I didn’t have an occasion to wear them at so I wore it with a tshirt over the weekend. They are so beautiful. It’s the perfect piece of jewellery to transform an outfit from day to night. This is the ring I love to wear almost every day. I had it custom made by Jewelmer. It’s their own south sea pearl. I wanted it to appear almost foating. I liked that it wasn’t a perfect round. 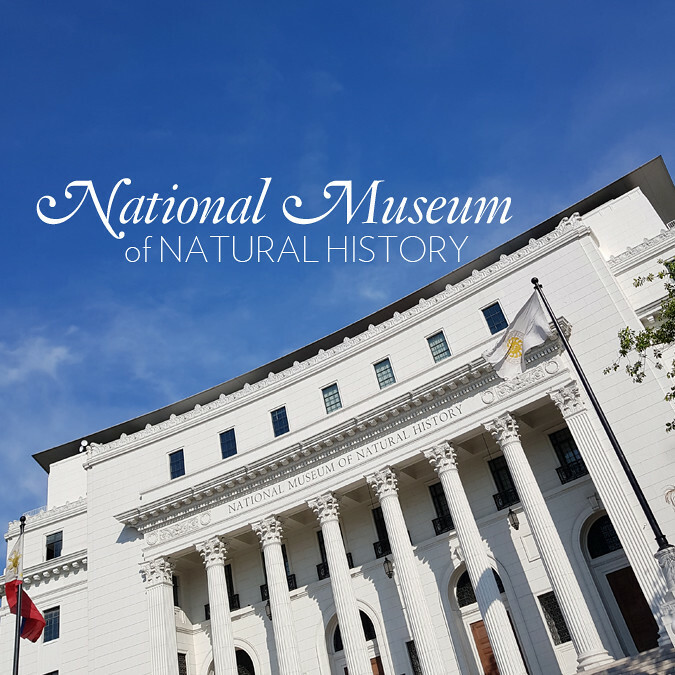 And the fact that it’s a golden pearl – endemic to the Philippines. If you are thinking of buying your South Sea pearls, now is a good time to do so. From July 1 to Sept 30, clients who purchase a pair of beautiful South Sea pearls will receive a 20% rebate which can be used on their next purchase. I always get asked about which colour of South Sea pearl is most valuable. I always say it’s a matter of personal taste. It took me a while, but I have all colors. (Guilty.) But here’s something from the Jewelmer website: Although color is not the primary factor, it does play a significant part in determining the price. Nowadays, because of its rarity, golden is the most expensive and the most sought-after of the champagne shades. White pearls have always been in demand, as they are the classic color. Chinese traditions also favor white because the color is associated with purity. In the case of black pearls, the most favored shade is peacock green, which best highlights the pearl’s luster. From July 1 to Sept 30, your purchase of a pair of beautiful South Sea pearls will give you a 20% rebate on your next purchase. 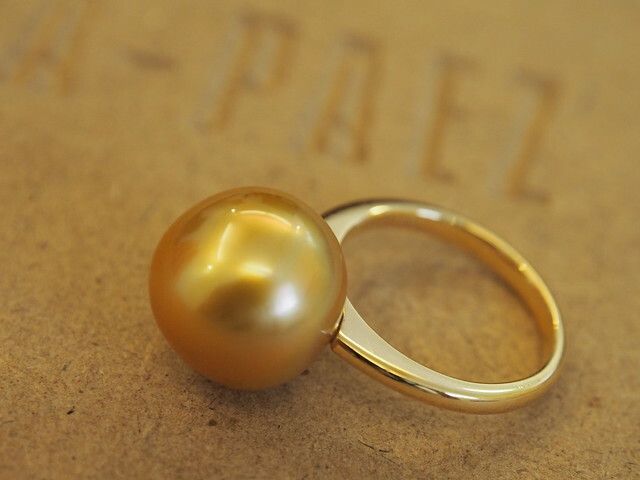 Matched to perfection and beautifully set, Perfect Pearl, Perfect Match is the ideal time for you to enter a world of rarity, luxury, and elegance. 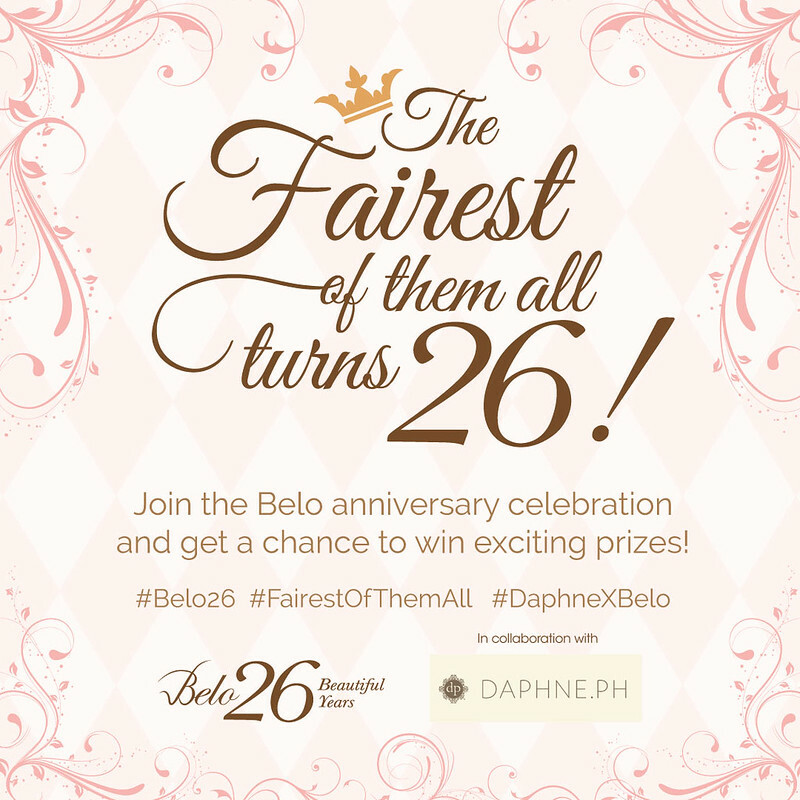 For Jewelmer branch listing, check out their Facebook page.